A new century was just beginning when Jeremiah E. Reeves moved his family into the newly remodeled home in Dover, Ohio. It was April of 1901, and the move followed three years of extensive remodeling and redesign of a former farmhouse which had been built around 1870 on what was then the outskirts of the growing canal port community of Dover. The property looked very different when Mr. Reeves purchased the 30 year old farmhouse in 1898. 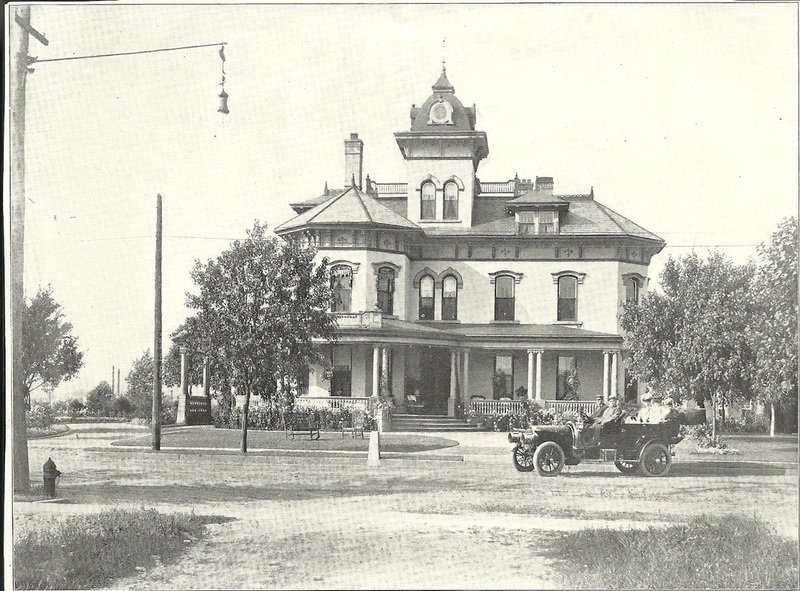 Built by prosperous farmer Valentine Wills, it had enduring qualities--strong brick construction, spacious rooms, high ceilings and a pleasing form which lent themselves to the type of remodeling and rebuilding which Mr. Reeves apparently envisioned. The Wills property had distinct advantages. It was near the rolling mills which played such an important part in Mr. Reeves' career as a steel manufacturer. The house itself, surrounded by its accompanying spacious grounds, was situated on a small hill which rose from the river level and overlooked the manufacturing sites. Within a short time, the area became known locally as Reeves Heights. The appellation was strengthened as other family members and executives of the Reeves enterprises built and occupied homes in the immediate vicinity. The home and its carriage house, now listed on the National Register of Historic Places, are distinctive and have long caught the attention of passers-by on Iron Avenue in Dover. The size of the home (17 to 21 rooms, depending on how one counts pantries, bathrooms and storage areas) and its gleaming white exterior are enhanced by dormers, bays, turrets, classical columns and a porte cochere. To the rear, and visible from the front of the property, is the large turreted carriage house which has its own enchanting, fairy tale appearance. One of the most fascinating aspects of the Reeves Home history is the story of its restoration to the grace and style of its turn-of-the-century period. 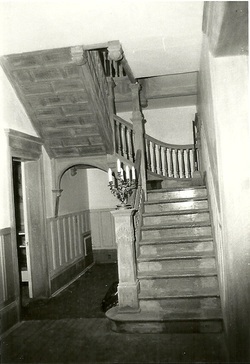 The restoration was required for two reasons: for a long period of time following the deaths of Jeremiah and Jane Reeves (in 1920 and 1926 respectively) the home was occasionally and sporadically occupied by their descendents; and, during the late 1940s, it under went the then popular "modernization." The trend called for large-scale painting of fine old polished wood, wall-to-wall carpeting of hardwood floors, refurbishing and painting of antique furniture and light fixtures, and the physical removal of hand-carved decorative features. It was the fortune of the Dover Historical Society that the family did not dispose of most of these rich remnants of the past. The storage areas of the home and particularly the vast space of the carriage house were veritable treasure-troves of original furniture, decorative wood work, lighting fixtures and even well preserved linens and draperies. During the restoration, the Dover Historical Society was immensely aided by the memories of the late Samuel J. Reeves, Jr., who lived until his death in 1977 in the gracious, columned red brick home on the adjacent property. He was a grandson of Jeremiah E. Reeves and the son of Samuel Reeves Sr. who died in 1901. The property came into the possession of the Dover Historical Society after the death of the last remaining daughter of Jeremiah and Jane Reeves, Agnes Reeves Greer. She and her husband, Herbert C. Greer, spent most of their married life in Morgantown, West Virginia, where they played an active role in steel manufacturing, publishing and civic affairs.